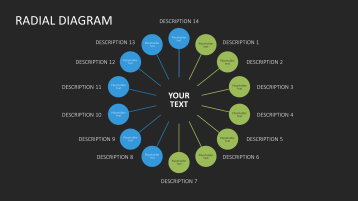 High-quality circle/radial diagrams for Microsoft PowerPoint presentations. 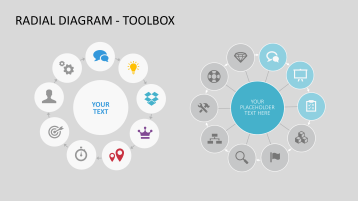 Simplify your workflows with data-driven diagrams and smart arts, which adjust automatically. 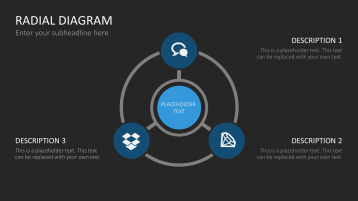 Create comprehensible overviews in PowerPoint presentations and use radial diagrams to illustrate structures and connections. 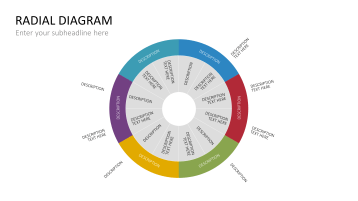 Show different forms of relations (cycles, closed systems or correlations of single components) by using radial charts and shapes. The set includes a number of smart art graphics, in which form and orientation are adjusted automatically according to your definitions. Other features included are pie charts and other data-driven circle diagrams which save you time and speed up your workflow. These templates have really upgraded my presentation. Amazing work, and so easy to handle.